Trying to Find a Lawyer NSW or Sydney Based? If you have been trying to find a lawyer NSW or Sydney based, then we can definitely assist you with your legal matters. 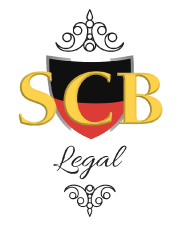 SCB Legal assists clients via phone or in person. We meet clients in Sydney CBD, Penrith, the greater Sydney area, as well in other parts of New South Wales like Wollongong and Newcastle. Searching for a Lawyer NSW or Sydney based? When you need legal advice or representation quickly, many people search for a lawyer that’s close by, for immediate assistance. SCB Legal makes booking a consultation simple and convenient, as our solicitors will even schedule an appointment at your office or place of residence. While our offices are located in Penrith, we schedule various types of appointments to best cater to clients’ needs. Would you Like to Book an Appointment with one of our Sydney Solicitors? Simply click the button to schedule a suitable time. We look forward to helping you with your legal matter. If your legal concern is urgent, call now and we will attend to your matter immediately. For calls after hours please refer to the FAQ page for further information. Do have a question about the appointment you just made? When making a booking, many clients remember some additional information straight after pressing the submit button. We know how frustrating that can be, which is why we included the appointment form. You can include the extra information about your legal matter easily and quickly.